Code Council Vice President of Global Services Judy Zakreski appears as the guest host for Episode 13 of the ICC Pulse Podcast. ASTM International President Katharine Morgan joins Judy for a conversation about global standards. With more than three decades of experience in increasingly strategic and managerial roles at ASTM, Kathie is a respected industry leader and one of the world's prominent voices on standardization-related issues. In this month’s episode of the ICC Pulse Podcast, Code Council Vice President of Federal Relations Gabe Maser gives an update on the federal government after the 2018 midterm elections. Gabe shares insight on the federal government’s involvement with the codes, various legislative agendas related to the built environment and what to expect from the 116th Congress. Episode Length: 11 min. 41 sec. Code Council Senior Director of PMG Resources Lee Clifton appears as the guest host for episode 11 of the ICC Pulse Podcast. Clifton's former trainee Damon Premer joins for a conversation about building a career in plumbing. Premer has worked in the plumbing trade for 32 years and is a senior project executive at All Area Plumbing in Commerce, Calif. In this special edition episode of the ICC Pulse Podcast we are joined by Matt Paxton, top hoarding expert and featured cleaner on the hit television show HOARDERS. Matt, who served as our keynote speaker at this year's Annual Conference in Richmond, Va., shares his expertise about a topic that is inextricably linked to building safety, fire prevention and the codes. Code Council Vice President of Government Relations and Executive Director for the Alliance for National and Community Resilience (ANCR) Justin Wiley appears as the guest host and resilience prevention expert and ANCR Board of Directors member Ryan Colker joins him for a conversation about ANCR. Ryan is also the Vice President of the National Institute of Building Sciences where he leads the Institute’s efforts to improve the built environment through collaboration of public and private sectors. He shares his resilience expertise and insight on the ANCR’s first benchmark focused on buildings. Chief Building Official for Davis, California, Greg Mahoney joins us this month to share industry insight on the new phenomenon of tiny homes, including the challenges these homes present to code officials and the overall impact on housing affordability. Greg also explains Appendix Q of the 2018 International Residential Code which covers tiny home requirements. Recent Boise High School graduate Therese Etoka joins us for this month's episode to share her story about her advocacy for code adoption in Boise. Code Council Senior Director of PMG Resources Lee Clifton appears as the guest host for episode 7 of the ICC Pulse Podcast. Backflow prevention specialist Bruce Rathburn joins Lee for a conversation about plumbing cross-connection control programs. Bruce is the past president of his local chapter of the American Backflow Prevention Association (ABPA) and the immediate past president of the ABPA International. This month's episode explore the transition from the military to civilian life. Currently a code services officer in Manhattan, KS, Sergeant First Class Mike Reese joins us to share the fascinating story of his journey from the Army to the world of building safety. 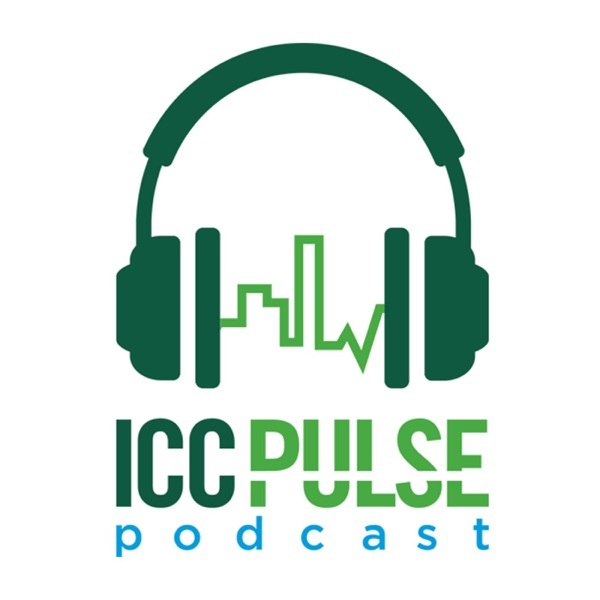 In this episode of the ICC Pulse Podcast, ICC's Senior Vice President of Technical Service Mike Pfeiffer joins as our guest host. He and special guest Ed Wirtschoreck, ICC Director of Codes, share a comprehensive recap of the Spring Committee Action Hearings that took place in Columbus, Ohio from April 15-23, 2018. In this month's episode, the Code Council interviewed Dr. Janet Stout, a world-renowned expert on Legionella and Legionnaire’s disease. Dr. Stout, president and director of Special Pathogens Laboratory in Pittsburgh and a research associate professor at the University of Pittsburgh, talks about the dangers of Legionella, where it’s most prevalent and how those at risk can protect themselves. In this month’s episode we welcome two guests from the Federal Insurance and Mitigation Administration (FIMA) of the Federal Emergency Management Agency (FEMA). Eric Letvin, FEMA’s Deputy Assistant Administrator of Mitigation and John Ingargiola, Lead Physical Scientist of FEMA’s Building Science Branch join us to discuss pre-disaster mitigation, a prevalent topic after the series of tragic natural disasters in 2017. Beth Tubbs, a senior staff engineer with the International Code Council Codes and Standards Development department joins us this month. She has been with the Code Council since 1995 and she is currently the secretariat to the International Existing Building Code, the International Fire Code, and ICC Performance Code. Beth is also the lead staff on the Fire Code Action Committee. Beth has extensive experience in fire protection engineering and shares insight on the lingering effects of the Grenfell Tower fire in London last year and how the Code Council and others in the codes and standards community have responded. ICC article: "Combustible exterior wall ‘cladding’ systems: An ICC perspective"
ICC and SFPE's jiont publication: "Engineering Guide: Fire Safety for Very Tall Buildings"
Jay Elbettar, P.E., CBO, LEED AP, CASp is the president of the ICC Board of Directors and a building official for Mission Viejo, Calif. He manages and directs the operation of the Mission Viejo Building Division through Charles Abbott Associates, including plan checks, inspections, counter operations and permit issuance. He was the recipient of the 2010 Gerald H. Jones Code Official of the Year Award. He is a registered professional engineer in seven states. Whitney Doll is the Director of Communications for the International Code Council. She oversees the Code Council’s strategic communications initiatives and media relations program, and works closely with internal and external audiences to solidify the ICC brand.